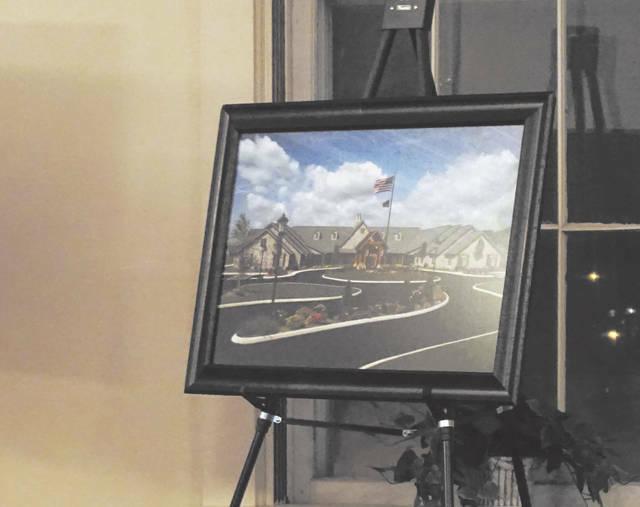 Pictured is an artist rendering of Sunbury Estates, a senior assisted living residence set to open in 2019. Sunbury will be getting a senior assisted living facility after Village Council unanimous signed off on the project during its regular meeting on Wednesday. The facility is expected to open in May 2019. “People have moved to Delaware or Westerville because we didn’t have this for our residents,” said council member David Martin. Sunbury Estates will be a 94-unit complex for senior citizens placed prominently at the corner of state Route 3 and U.S. Route 36/state Route 37. However, its entry will be on Miller Drive, next to the BST&G fire station in Sunbury. Although there was some concern because of the number of places for vehicles to turn into along Miller Drive, Mayor Tommy Hatfield said the use was ideal for the location. It was said that the Ohio Department of Transportation doesn’t want motorists making impulsive turns into a business at that busy intersection, which limited its uses. At a prior meeting, zoning commission members noted that Sunbury Estates would be busy only on holidays such as Mother’s Day. Prior to its vote, council members watched a three-minute film of the Inn at Bear Trail in Lewis Center, which was said to be identical to what Sunbury Estates will become. Amenities included a hidden courtyard for residents, a theater and a chapel. A similar facility is The Inn at Olentangy Trail in Delaware. Hatfield said he has driven by it and thought it looked good. Village officials noted there were two hearings on Sunbury Estates, and there was no public dissent. A representative of the Jerry McClain Company, project developer, said the company hopes to break ground on Sunbury Estates on May 1. The site is expected to take 11 months to build and another month for inspections. In other business, council opted to cancel its next scheduled meeting on March 21 because of spring break. Council will next meet on April 4.